The success of our gallery relies upon the work of our volunteers, from meeting and greeting visitors to the gallery, to working behind the scenes hanging monthly exhibitions and cooking for Opening Nights. These are a few of the multitude of tasks undertaken by our volunteers. 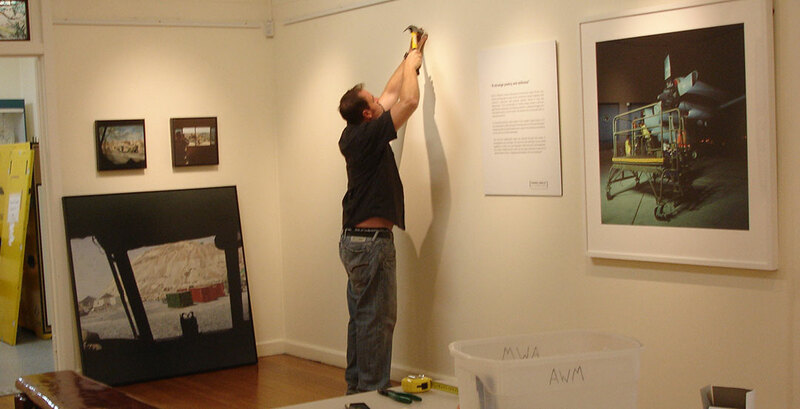 New volunteers are most welcome at the Wondai Regional Art Gallery. There is always room for more volunteers, as each month the gallery is getting bigger and busier and more time consuming. We try to set up groups to take charge of different projects and maybe one of these areas could suit you. Welcoming our customers to our current exhibition, and giving information on its content. Answering the telephone and taking messages, and sales. Anyone with computer skills would be greatly welcomed! Cooking our delicious finger food for Opening Night and servicing on the night. Cooking starts at about 9.30am on the morning of the opening and we all have great fun thinking of new things to delight the customers. If you would like to join the hanging team (that’s paintings of course) we meet on the week before Opening Night. This is a very happy group and love throwing around our ideas and learning as we go along. On Opening Night we have a group of people to call upon to supply soothing sounds as we wander around the Gallery. There is lots of variety with pianists and guitarists and even a string ensemble. If you would like to come along and play, we would love to hear from you. So come and join the Great Team at the Wondai Regional Art Gallery.